Yesterday, I shared about the ladies gathering I hosted for the women in our family. In that post, I let out a little secret about one of my belongings. My American Girl Doll. 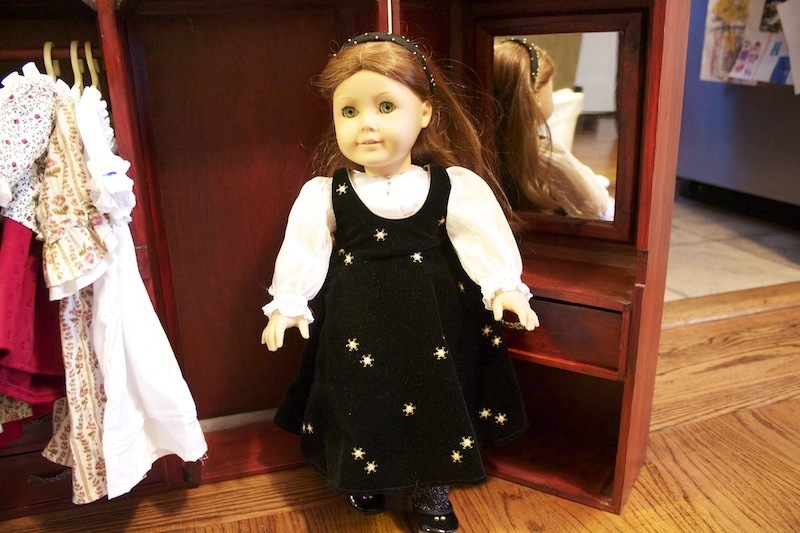 Heidi (my sister) informed me that my doll, Felicity had been archived. She suggested I dress her up and take pictures of all of her outfits and put in on my blog. Immediately, I ran out to the garage and brought her inside. We then proceeded to take pictures of her for the rest of the evening. Heidi was the primary photographer and my cousins Hannah and Maggie her fashion "helpers." I have a majority of Felicity's clothes, but not all of them. I'm trying to figure out which ones I don't have and find them somewhere online. Oh, and by the way, the reason my doll is in MINT condition: I got her when I was between the ages of 16-18! Here are the 10 outfits I have for my doll! 2. School Dress with a little purse that has a bit (coin) and handkerchief in it. 3. Colonial Holiday Ball- with muffs, head covering, and a teardrop pearl necklace. 4. Red Riding Cape with snowshoes! 8. Modern Christmas Dress- with a headband and tights too! 9. I bought this outfit circa 1999, so it is typical of what was "fashionable" then! Sweatshirt, button up plaid shirt, cargo pants, hat and tennis shoes. 10. Handmade dress we found at a craft fair in Roseville. 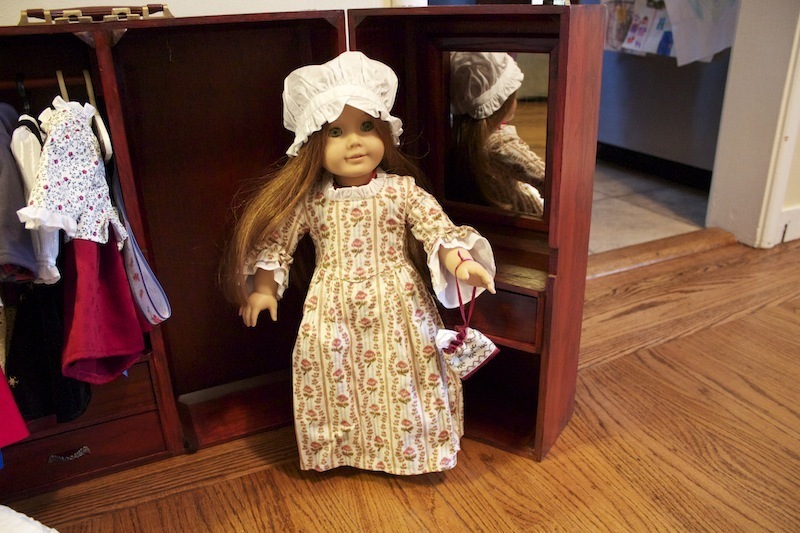 Do you have an American Girl Doll? If so, which one? For more information on Felicity, check out this page from Wikipedia.